Do you ever just need a middle of the work week getaway; something to break up your day to day life? RSVPaint has just the thing for you. 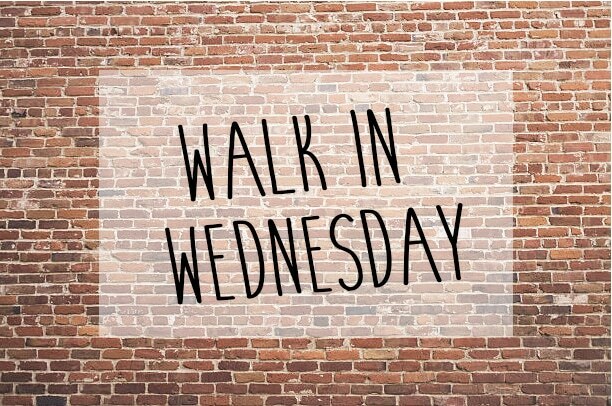 We're offering Walk in Wednesdays where no registration is needed although recommended! You can come in between the hours of 5:00 and 9:00 pm and you can come paint with the help of our fun and friendly instructors and drink all the wine your heart desires. For canvas - choose the Canvas Ticket option, choose your painting from the dropdown menu or when you come in! For our DIY projects you can view the gallery of options HERE. Please note not all projects are available at all events. You can choose your design from the dropdown menu, or you can view our entire catalog HERE , choose CUSTOM in the drop down and then enter the design # for your choice in the special information box. Enter any special information in the Special Info box and complete registration!